What is the Center for Collaborative Care? The Center for Collaborative Care is designed to improve the identification and treatment of child and adolescent mental health problems using a collaborative model of care between pediatricians, pediatric psychologists and child and adolescent psychiatrists.. 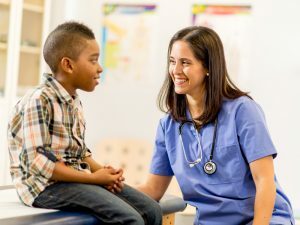 Since 2012, the CCC has established a network of primary care providers and child and adolescent mental health providers to improve access to child mental health care. The CCC offers advanced child mental health clinical training and outpatient psychiatric consultation to pediatric providers. The CCC is generously funded by a $1.25 million endowment from the JSOCI through The Partnership, the Baptist Foundation, and the Hall-Halliburton Foundation. 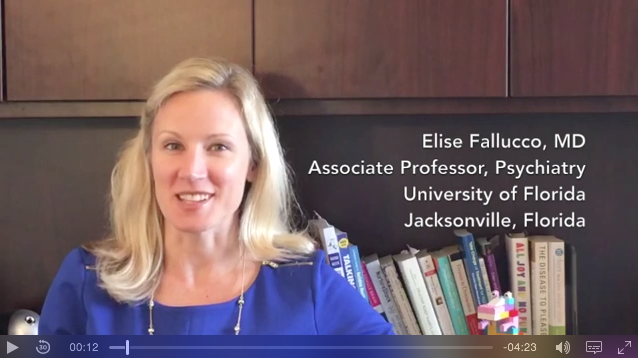 Dr. Fallucco is a child and adolescent psychiatrist & Associate Professor of Psychiatry at the University of Florida. 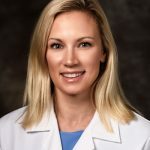 She serves as the Director of the The Center for Collaborative Care (CCC) where she works to advance early identification and intervention for emotional and behavioral disorders in primary care. 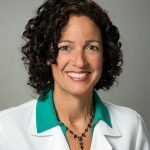 Dr. Greco is a clinical pediatric psychologist at Nemours Children’s Healthcare System and Assistant Professor of Psychology at Mayo College of Medicine. She serves as a CCC consultant. Dr. Greco has over 25 years of clinical experience working with children and adolescents with emotional and behavioral disorders. 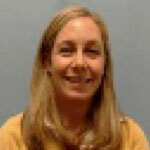 Lauren is responsible for coordinating the research activities and community liaison work for the CCC team. More than 100 pediatricians, nurse practitioners, and physician assistants from 20+ pediatric and family medicine practices in Northeast Florida are involved in the CCC. CCC Adolescent Depression Workshop: The CCC runs an interactive, hands-on course for pediatricians which is designed to help providers recognize and care for adolescents with depression. To learn more about this course, please watch the video. 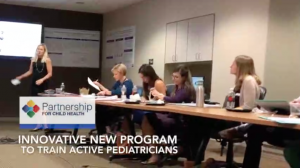 View Training Video The CCC provides specialized clinical training and resources for pediatric primary care providers to identify and manage common emotional and behavioral problems. Download Powerpoint presentation: "Early Childhood Screening"
CCC psychiatrists are available for face-to-face outpatient child and adolescent psychiatric consultation to pediatric primary care providers who have participated in CCC clinical training. The goal of this consultation is to provide an initial assessment and limited follow-up with transition back to the pediatric provider who now has the resources and skills to manage mild to moderate emotional and behavioral problems. The CCC team studies the impact of our programs on screening and treating emotional and behavioral problems through our pediatric primary care research network. Fallucco EM, Wysocki T, James L, Kozikowski C, Williams A, & Gleason MM. (2017). 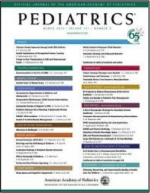 The brief early childhood screening assessment: preliminary validity in pediatric primary care. 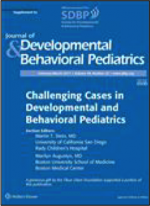 Journal of Developmental and Behavioral Pediatrics, in press. Fallucco EM, Blackmore E, Bejarano CM, Wysocki T, Kozikowski CB, & Gleason MM. (2016). 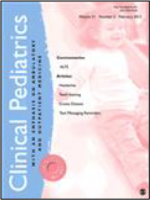 Feasibility of screening for preschool behavioral and emotional problems in primary acre using the early childhood screening assessment. Clinical Pediatrics, 56(1): 37– 45. Fallucco EM, Blackmore ER, Bejarano CM, Kozikowksi CB, Cuffe S, Landy R, & Glowinski A. (2016). 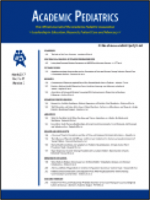 Collaborative care: a pilot study of a child psychiatry outpatient consultation model for primary care providers. 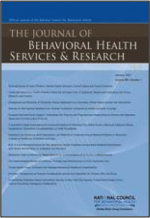 Journal of Behavioral Health Services and Research, 1 -12. Fallucco EM, Seago RD, Cuffe SP, Kraemer DF, & Wysocki T. (2015). Primary care provider training in screening, assessment, and treatment of adolescent depression. Fallucco EM, Conlon MK, Gale G, Constantino JN, & Glowinski A. (2012). 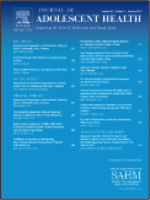 Use of a standardized patient paradigm to enhance proficiency in risk assessment for adolescent depression and suicide. Fallucco EM, Hanson MD, & Glowinski AL. (2010). Teaching pediatric residents to assess adolescent suicide risk with a standardized patient module.